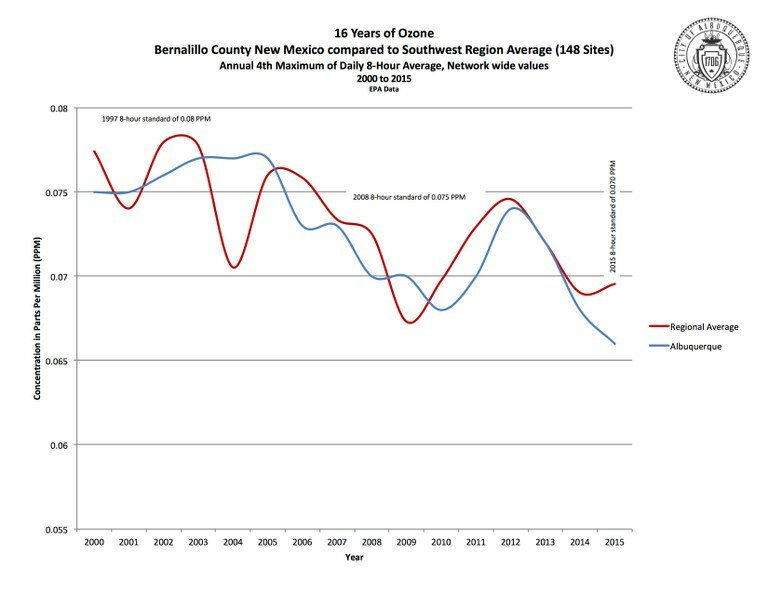 Ozone levels in Albuquerque remain below the regional average. 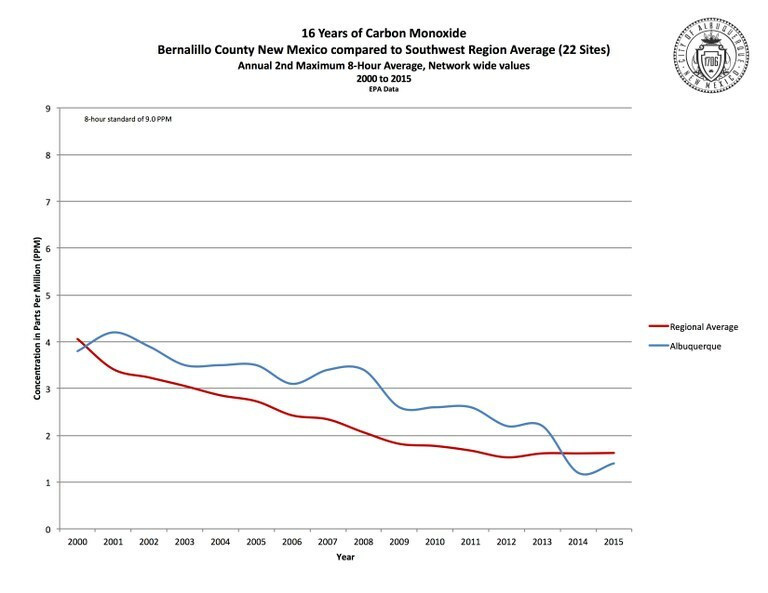 Carbon Monoxide levels in Albuquerque remain below the regional average. Particulate Matter (PM10) levels in Albuquerque slightly exceed the regional average. 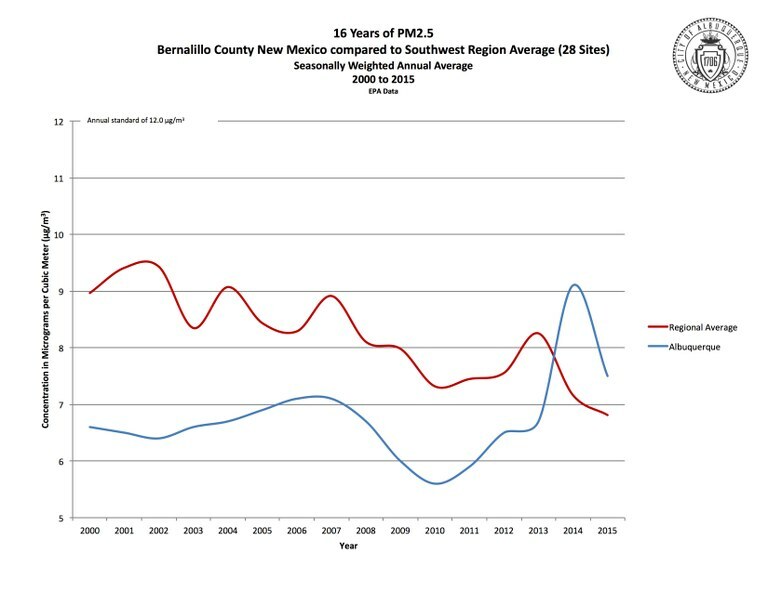 Particulate Matter (PM2.5) levels in Albuquerque slightly exceed the regional average. 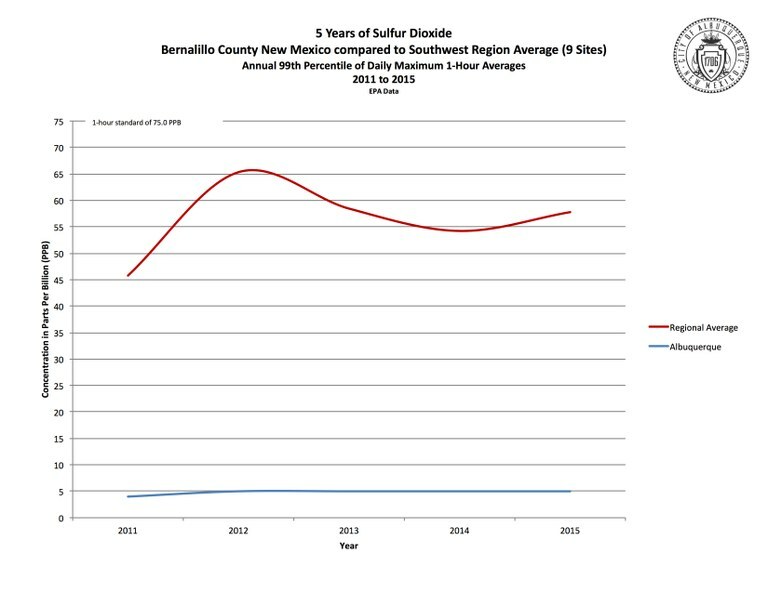 Sulfur Dioxide levels in Albuquerque remain below the regional average. 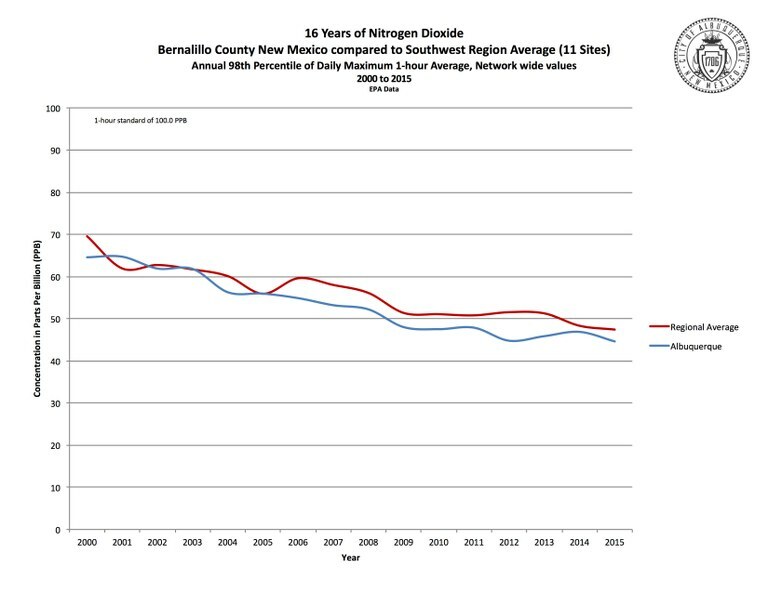 Nitrogen Dioxide levels in Albuquerque remain below the regional average.